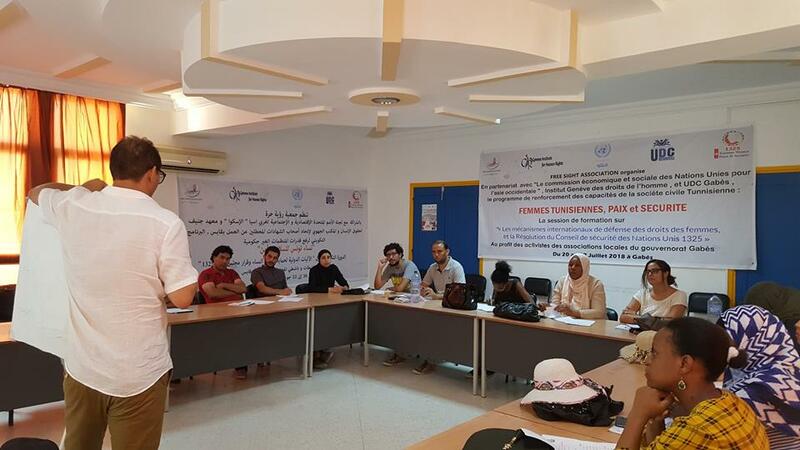 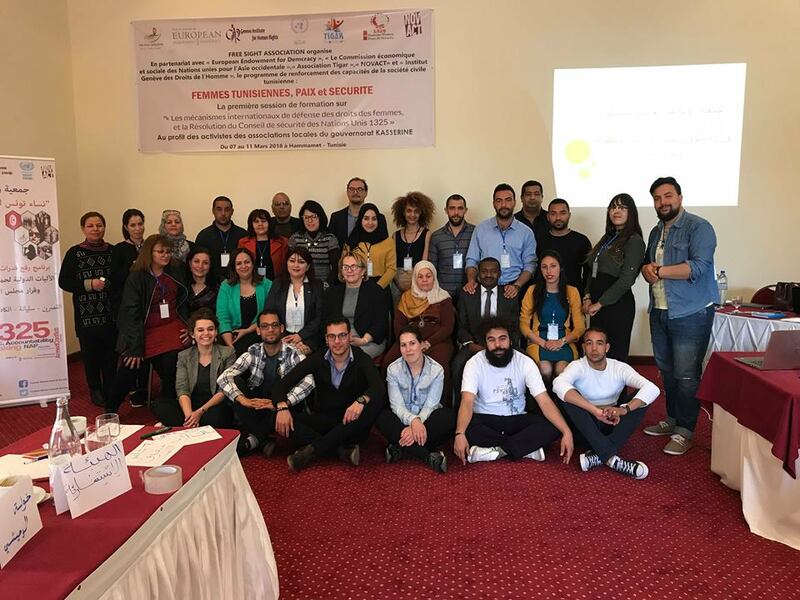 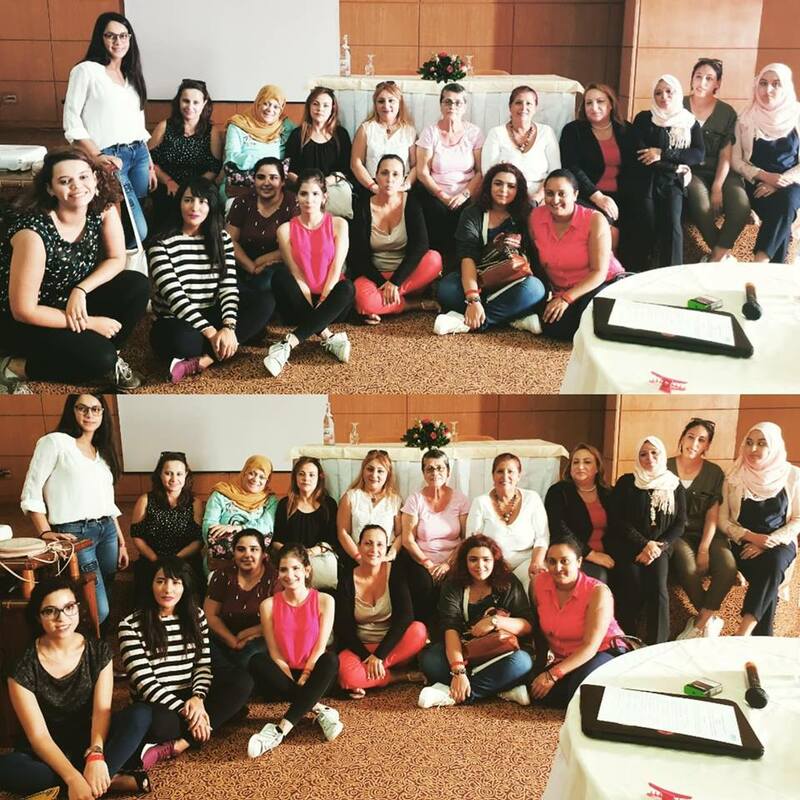 (English) Third Training Session on “International Mechanisms for Defending Women’s Rights: United Nations Security Council Resolution° 1325” in the framework of “Tunisian Women: Peace & Security” for the benefit of Civil Society Activists in Gabes, Tunisia. 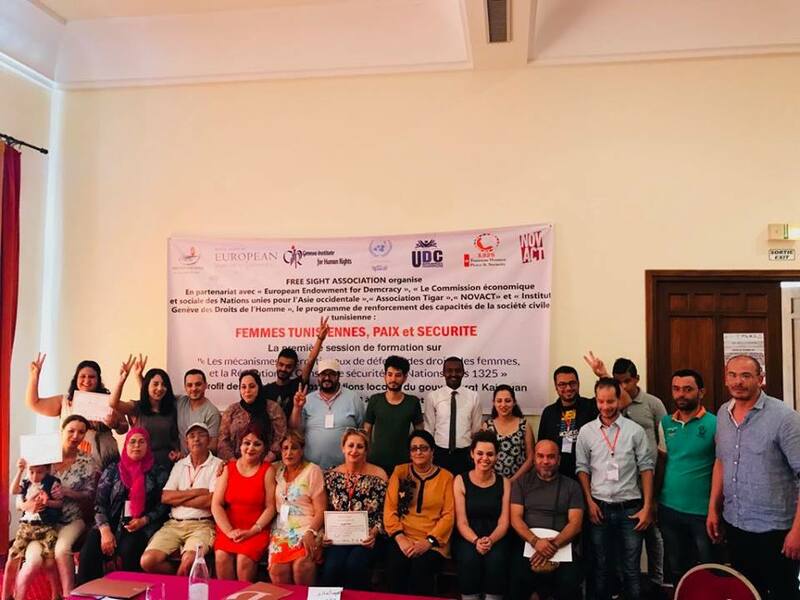 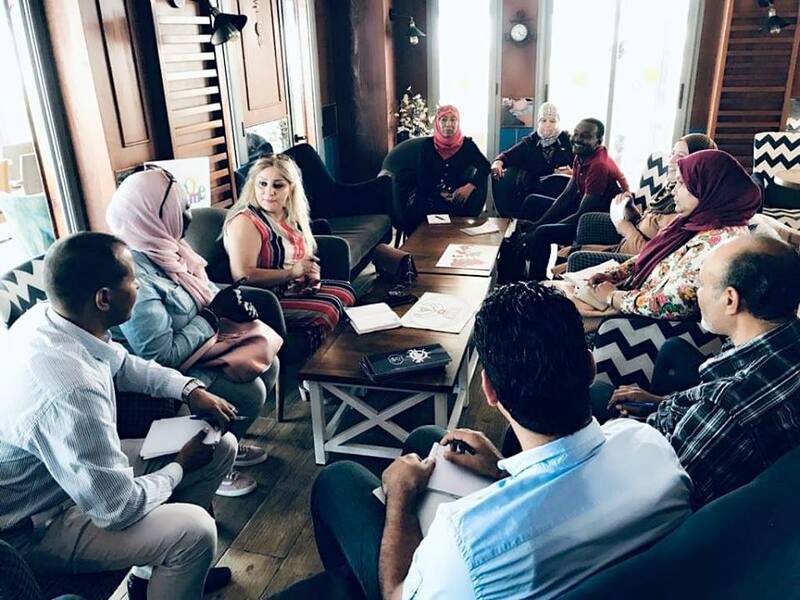 (English) Second Training Session on “International Mechanisms for Defending Women’s Rights: United Nations Security Council Resolution° 1325” in the framework of “Tunisian Women: Peace & Security” for the benefit of Civil Society Activists in Kairouan, Tunisia. 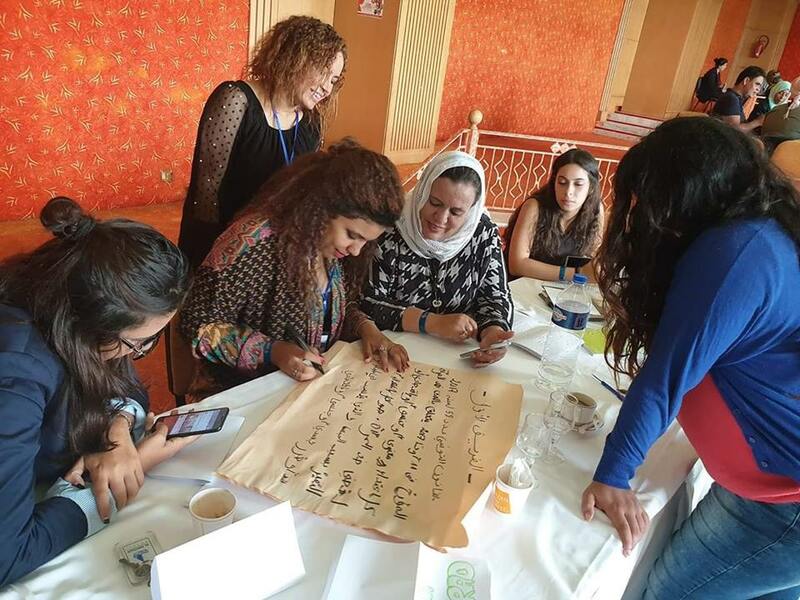 (English) First Training Session on « International Mechanisms for Defending Women’s Rights: United Nations Security Council Resolution° 1325 » in the framework of « Tunisian Women: Peace & Security » for the benefit of Civil Society Activists in Kasserine, Tunisia.